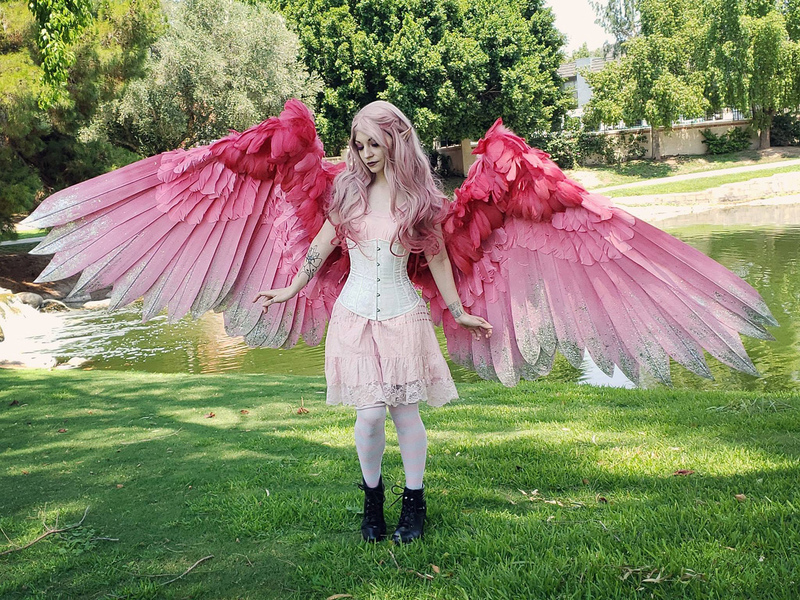 Alexis Noriega creates realistic feathered wings that extend with the flip of a switch, turning even the most mundane of outfits into creations worth preening over. 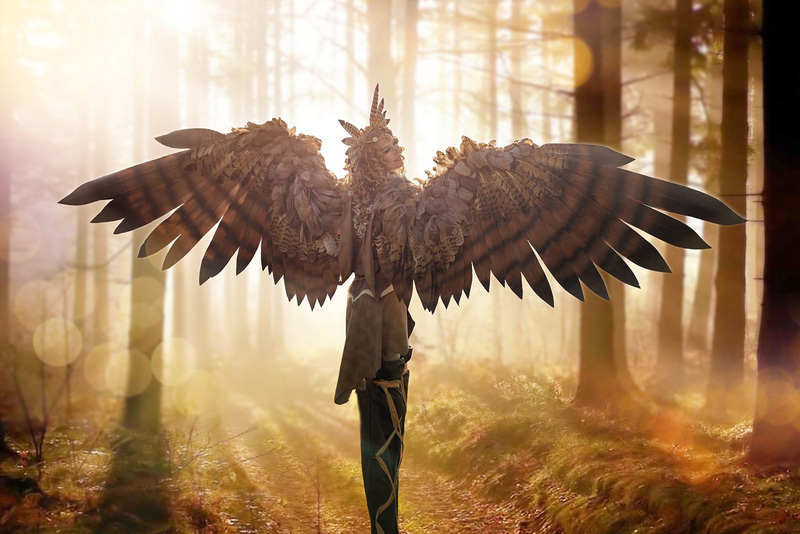 Ranging from $35 for a small set of wings made from rooster feathers to $3,000 for large, dyed pheasant feather sets designed for models and beauty pageant contestants, Noriega’s plumy adornments are in such demand that dozens of new orders are on hold until the end of January. 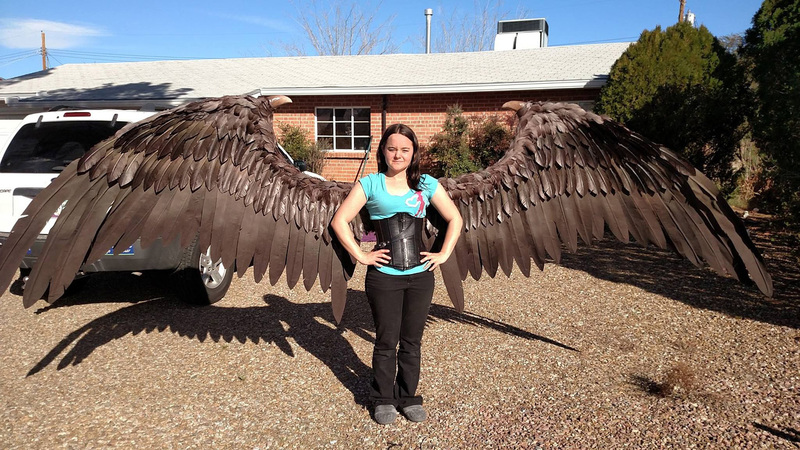 With 120 hours put into each pair of super-sized mechanical wings, “it’s become my life. 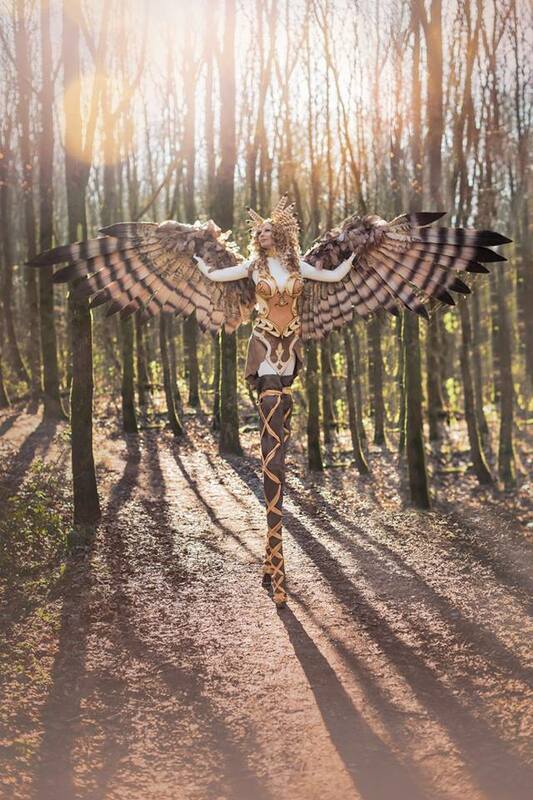 There’s a constant layer of feather fluff in the air at my house.” Twelve-hour days spent glueing feathers individually on to lightweight frames to resemble actual birds’ wings have all been worth it, says Alexis, if only to see the looks’ on her customers’ faces when they try on their first sets of crow, hawk, eagle or falcon wings. And be sure to check portraits of cosplay enthusiasts and Star Wars cosplayers.